José Luis Pequeno was born in Bilbao und studied graphics, industry design, painting and sculpture in Bilbao, Madrid, Paris und Brussels. Back in Bilbao he was working in ateliers of Jorge Oteiza and Néstor Bastarrechea. 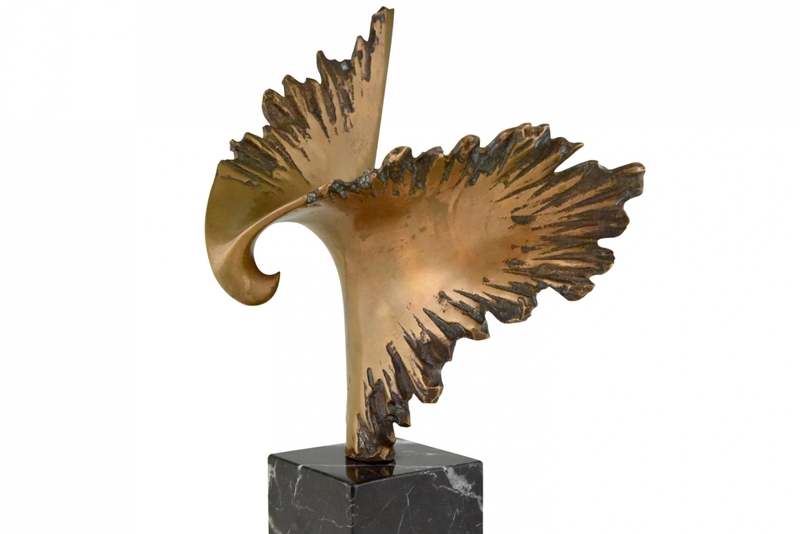 He cooperated in many projects for public buildings.José Luís Pequeño participated in many national and international exhibitions and was rewarded several times.His works you find in Museums, also in public and private collections. His sculptures are dynamically, feeling-stressed and in his natural form finished after the models of the royal animal kingdom. Very special are his robbery birds, singing birds and pigeons with their light design and their big liberty. 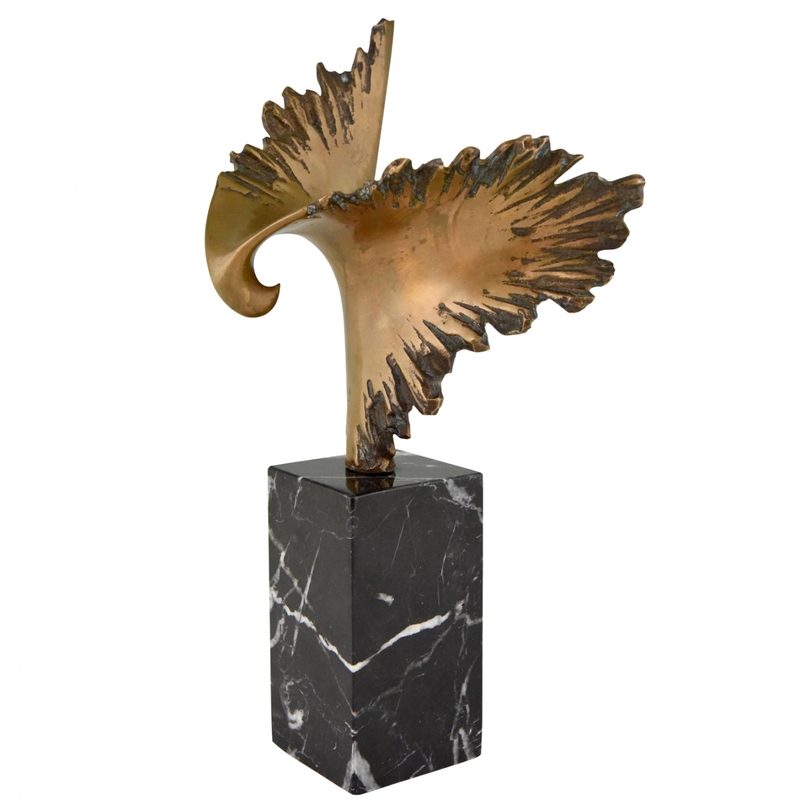 Signature/ Marks:José Luis Pequeno, numbered 30/50 Style:Mid Century Modern Date:1970 Material:Bronze on marble base. Origin:Spain Size:H. 33 cm. x L. 18 cm. x W. 14 cm. H. 13 inch x L. 7 inch x W. 5.5 inch Condition:Very good condition. H. 33 W. 18 D. 14 cm. H. 13 W. 7 D. 6 in.